Are you on the hunt for some yummy sweets to make. I want you to think outside the box on this one. You’re not going to believe what these cookies are made out of. These cake mix Valentine cookies are the bomb! You read that right. 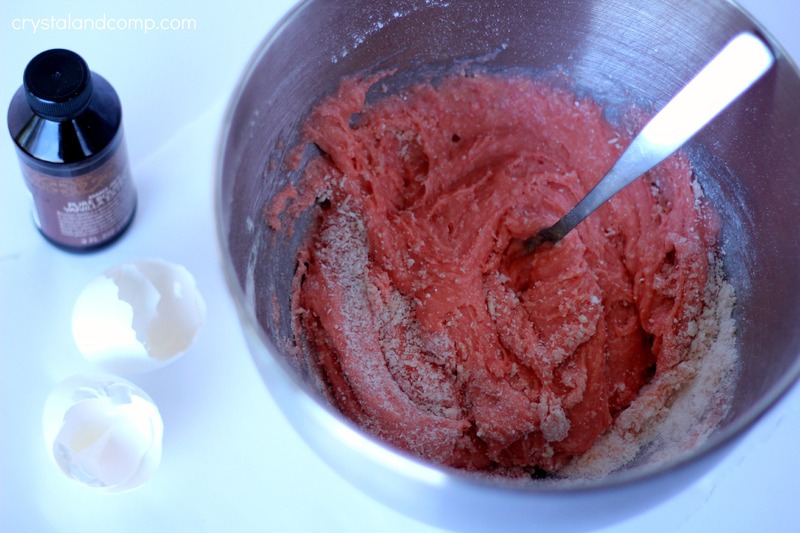 These cookies are made out of a strawberry cake mix! 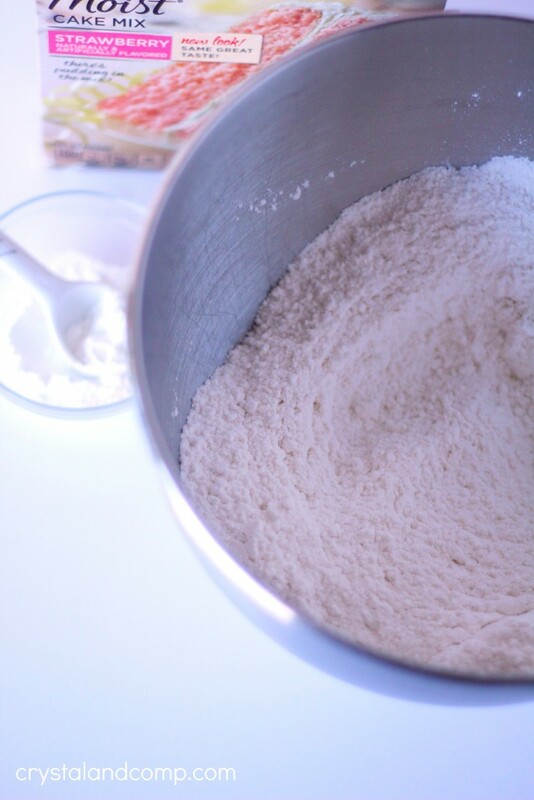 Mix together the cake mix and the baking powder. Stir it well with a fork or spoon. Set aside. In another bowl mix the eggs, oil and vanilla. Stir, stir, stir with a spoon until well combine. I did this just with a spoon. No need for the mixer. Once well combine add in the chocolate chips. Combine well. Line a cookie sheet with parchment paper. This makes clean up a breeze! Use a spoon to drop the dough in spoonfuls onto the parchment paper. Ensure that you leave 1-2 inches in between each cookie. Pop it in a 350° oven for 9-11 minutes. The cookies will brown lightly on the bottom and you may see some spot of browning on top of the cookies. Once done, let them set until cooled. This makes super soft cookies! They are perfect! Serve these up with a glass of milk. 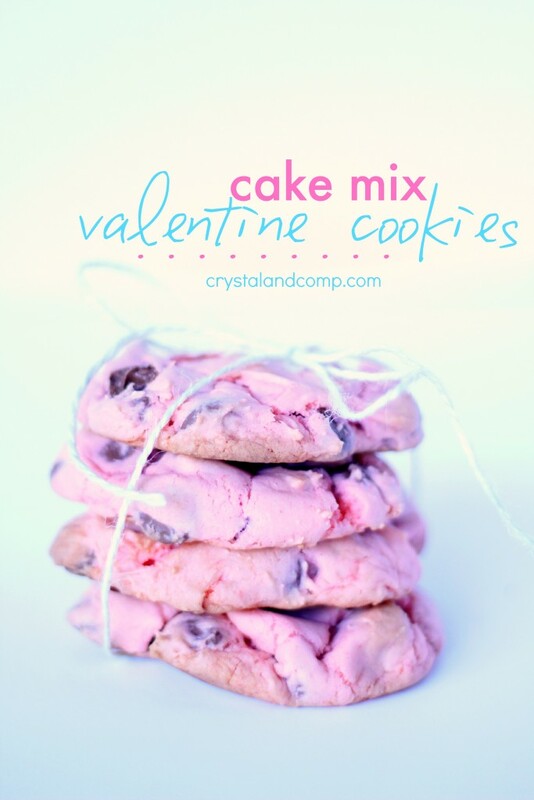 Perfect for a Valentine party as well! 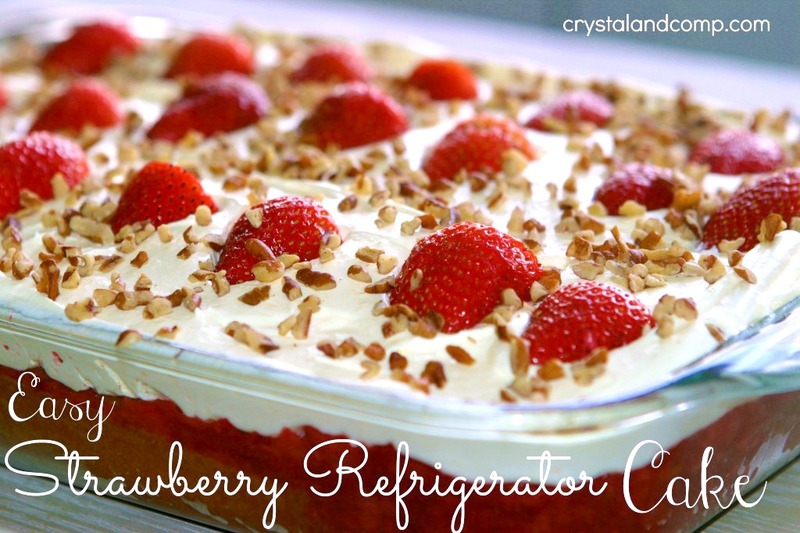 While you’re here make sure you check out our Strawberry Refrigerator Cake too! There will not be a slice left in the pan! This starts with a strawberry cake mix as well! 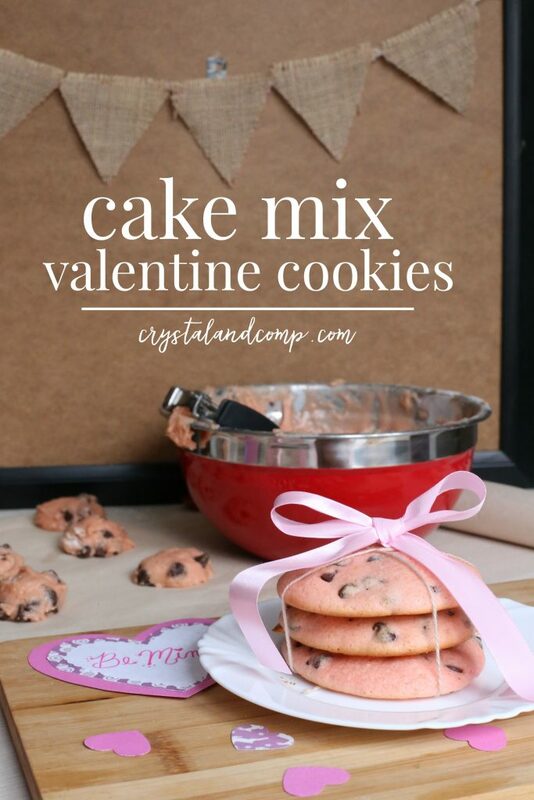 I never thought of making cookies with cake mix. What a great idea! Sinea Pies recently posted..L is for Lion – Preschool Fun! This is such a great idea and looks yummy! It makes sense that cake mix would make super soft cookies, this is one of those things where I wonder… why didn’t I think of that? Thanks for the recipe, and all the videos, I love love love them! Is it 1 TABLESPOON or 1 TEASPOON? Big T is tablespoon small t is teaspoon. I loved this recipe so much I posted it on my Facebook page. I also plan on making some today with the grandkids. Thanks so much! I love soft cookies. this is a terrific recipe. I invite you to share at my Thursday hop ( you can link up through Sat midnight) Hugs! 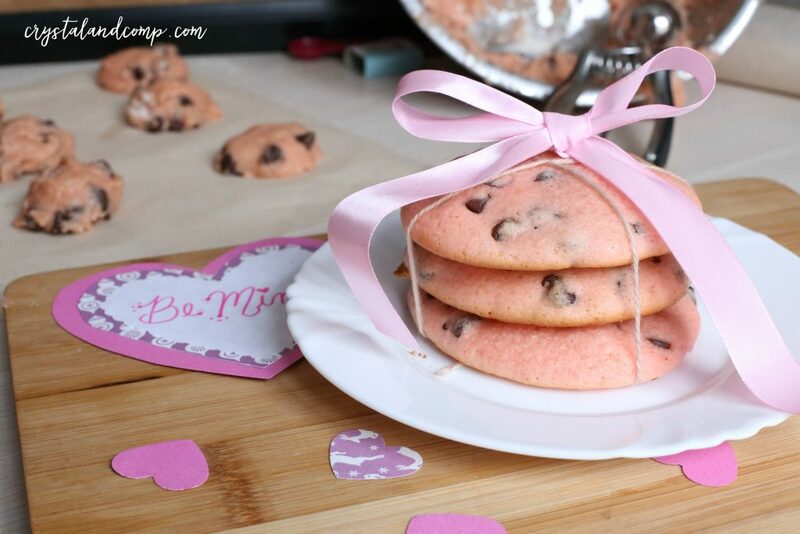 My daughter would LOVE pink cookies like these! Thanks for sharing and linking up to WFMW! How many cookies will 1 box make? Depends on how big you make them. 1-2 dozen of larger cookies. 3-4 dozen small cookies.